For each of the 6 main workouts, there is also a short tutorial to give viewers from guidance. The whole DVD has nearly 2 hours of material. Ord gives a voice over and demonstrates the exercises in a studio. There's electronic dance music of a very generic kind in the background. She does not give specific advice about what weights to use, but assumes that people know what weights they are comfortable with. 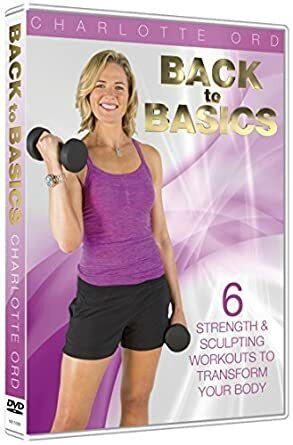 She encourages her viewers with lots of enthusiasm, and provides the incentive not just of how it will improve muscle tone and fitness, but also how it will look really good after. She assumes that the people following the routine will be women, although there's nothing here that is inappropriate for other genders. It's a pretty good workout. Some of the exercises may be a bit too much for some but she often suggests modifications for those who need to build up to them. Link: 30 second promo video for DVD.